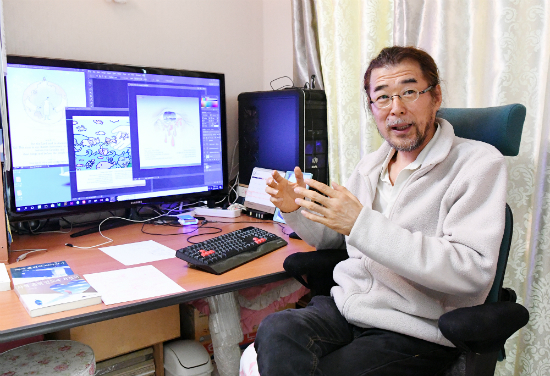 When I met Illustrator Missionary Choi Jung-hoon on April 30 at a workshop in Jung-gu, Incheon, he introduced his life as an “illustrator.” He said that from the time he was very young he would skip meals, but he never stopped drawing. Upon meeting his future wife, Missionary Kim Bok-sun, in college, he encountered the Gospel and was finally able to see where his life was heading. Choi directed his life to where God wanted and commanded. While in college, he joined University Bible Fellowship (UBF) and experienced joy in drawing the Gospel. After college, he became a well-known illustrator of large corporations’ magazines and of many textbooks. During the time when the late Ha Yong-jo (Onnuri Community Church) led the Christian culture scene in Korea and established Duranno Publishing and Duranno Culture Center, Choi began teaching illustration and founded his own world of illustration with the Gospel. Many of his drawings were published as covers or inserted illustrations in various Christian magazines including Living Life (a devotional journal), Shinangge, and Modern Religion Monthly. 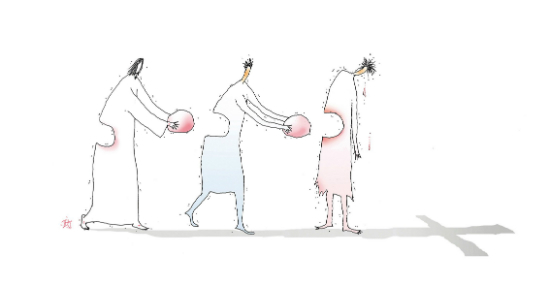 Like a spring, God provided Choi with never-drying inspiration…until he faced a crisis. 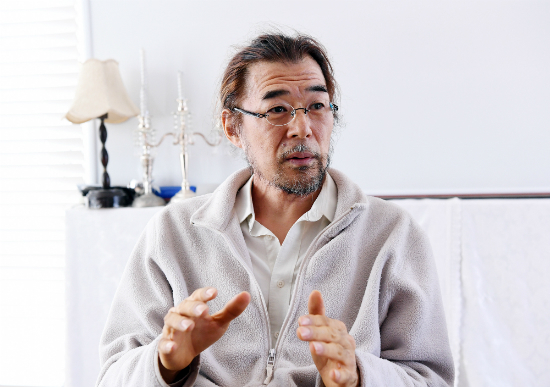 At age 48, in 2008, he began studying theology. He called this the start of his life’s second act. In this journey he wanted to add depth to his faith, but physical suffering awaited him. His rotator cuff was torn so that he could not move his left arm, and his left eye lost sight due to macular degeneration. In 2014, he underwent surgery after being diagnosed with terminal lymph gland cancer. After the surgery plus 30 times of radiation treatment, his gums are so weakened that he cannot even chew a boiled egg. Despite all this, he finished a master’s degree in religion studies and a doctor of ministry at Pan Pacific University (PPU) in just seven years. Choi said, “The physical hardships were for me the process during which I learned what was needed to realize God’s plan… The evidence? I lost a lot, but I still have my right hand, the tool I need for drawing. It’s as strong as it’s always been.” He smiled. In 2015 Choi established the Illustration Ministry, and he has been sowing seeds of the Gospel in mission fields around the globe together with his wife, Missionary Kim. Missionaries working in remote sites where it is difficult to communicate the Gospel due to language barriers, hand out Choi’s drawings to tell the Good News. 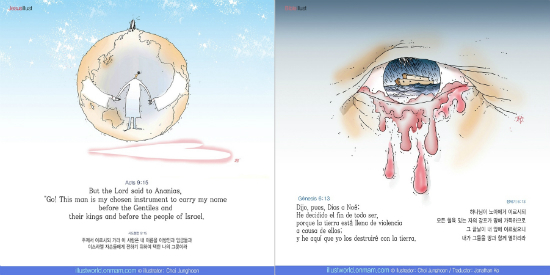 In China, Cambodia, and Mongolia, Choi’s Bible message pictures are being used as coloring activity materials. Handing me a name card (below), Choi said, “My hope is that this place, which is our workshop and our ministry’s worship hall, will be filled by God’s calling of illustrator missionaries.” On the back of the name card was a drawing: A marginalized neighbor’s wound is filled by a Christian who shares a part of his body, and in turn his empty spot is filled by Jesus. The urgent prayer request I received via SNS is a fake?